He also, however, stressed that there was no other alternative besides cooperation on a peaceful and diplomatic solution to the crisis. Annan also addressed the media fixation on the Russian position in the process, while wondering why countries like Iran, who is “an actor” in the situation, were being excluded from the process. Annan stated that Iran should be involved in the resolution of the crisis, and “cannot be ignored”, while western powers and other Syrian opposition movements have opposed any participation by Iran or Assad’s government in future negotiations for transition. Annan emphasized that western criticism of Russia and China was senseless “competition”, impeding a process which cannot move forward without international consensus. Annan clearly implied that there was "no alternative" to proceeding without Russia. “The Russians, like many other countries implicated in this matter, have interests in Syria and the region. Once we agree in principle that there are also common interests, medium and long term, the question becomes: how can we protect these interests?” Annan stated. 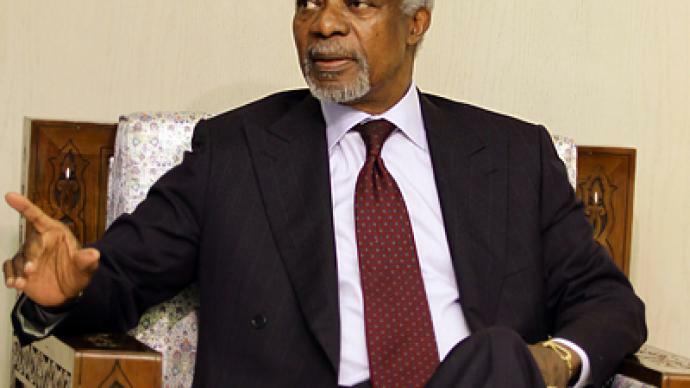 Annan also alluded to governments around the world holding olive branches with one hand at the diplomacy table, but handing out aid and weapons to various sides in the Syrian conflict with the other. Washington has criticized Russia for selling arms to Assad, taking particular issue with a shipment of refurbished assault helicopters that was set to be delivered to Syria in June. The US, on the other hand, has continued to provide monetary “non-lethal aid” to rebels, which critics say is being used to buy weapons and arm the insurgency. “Shouldn’t the countries [involved] find ways to work together to ensure that Syria does not rip itself apart, not spread problems to its neighbors, and to avoid a situation that creates instability in the region and for the world? Or will these countries continue on the path on which they have embarked, leading to a destructive competition in which everyone will eventually lose?” Annan asked. 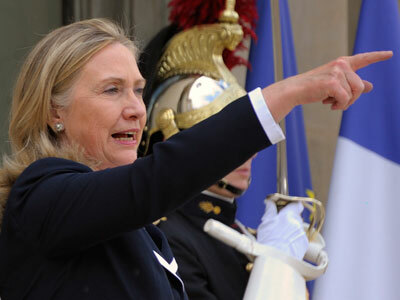 Meanwhile, Hillary Clinton made headlines on Friday at the friends of Syria meeting in Paris, where she rebuked Russia and China for backing Assad, claiming there would be "a price to pay". Russia has forcefully denied the allegations, saying that such verbal attacks can only escalate an already unstable situation. 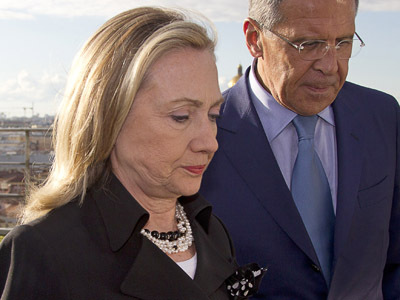 “We categorically reject that such a question would even be posed regarding the current situation in Syria and Russia’s ‘backing’ of President Bashar Assad.” Russia’s Deputy Foreign Minister Sergey Ryabkov said in response to Clinton’s remarks. 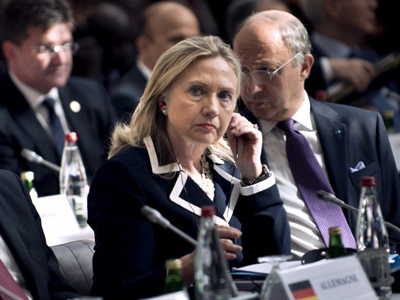 Clinton’s harsh language came following a summit in Geneva on June 30th, where a resolution was agreed upon by all sides calling for negotiations, with participants in the transitional government to be agreed upon by ‘mutual consent’. While initial reports suggested that all parties present were pleased at the outcome, Clinton’s remarks may have served to undermine that progress by highlighting major differences in the interpretation of the document. Russian Foreign Minister Sergey Lavrov praised the agreements of the communiqué the following Tuesday, saying they represent the best hope for achieving peace in the Arab nation. "Geneva gives good chances and they should be used,” the minister stressed. “It is important that all players are pressing actively on all Syrian parties in order to make them stop the violence and get down to the table of negotiations." “The Geneva agreements should not be distorted in any way,” Lavrov responded. “They mean just what has been written in the communique, and we will try not to rewrite anything afterwards." "Unfortunately, some representatives of the Syrian opposition began to state that the Geneva decisions are unacceptable for them," the minister said. 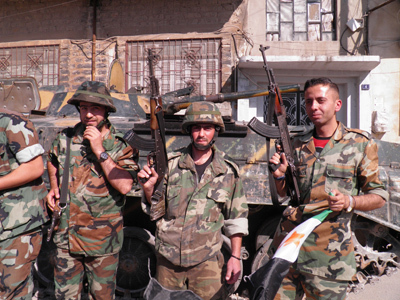 The Free Syrian Army (FSA), a resistance movement on the ground inside Syria, boycotted a meeting in Cairo in early July where some 250 delegates discussed an internationally backed transition plan following the Geneva summit. 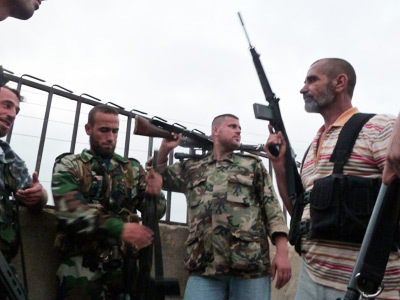 The armed rebels branded it a "conspiracy" and said the agenda lacked an aggressive stance. 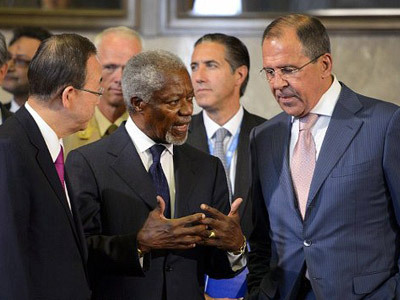 Annan refuted claims that concessions were made to Russia and China in the resolution, stating in the interview that such reactions to the document were "unfortunate". “The Geneva resolution was drawn up by a group of nations, 80 percent of whom are members of the Friends of Syria Group that called for the removal of Bashar al-Assad on July 6th. That is why claims by the opposition that it has been "betrayed" or "sold out" are rather odd,” he concluded.